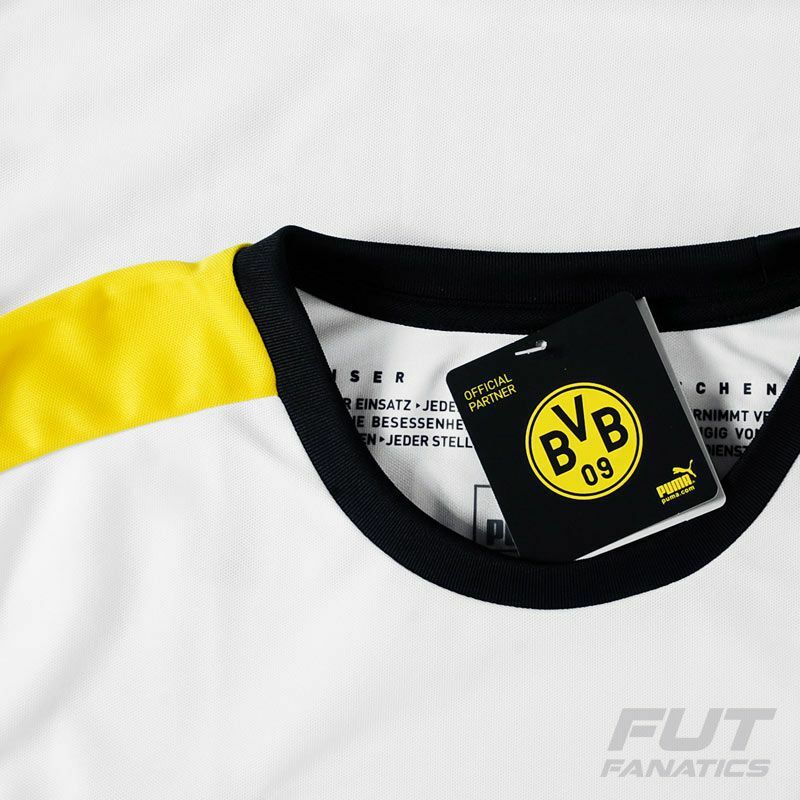 This beautiful Borussia Dortmund 2016 Third Jersey is white with some details in yellow. This jersey can be customized with name, number and patchs using the official fonts of the team. More info. 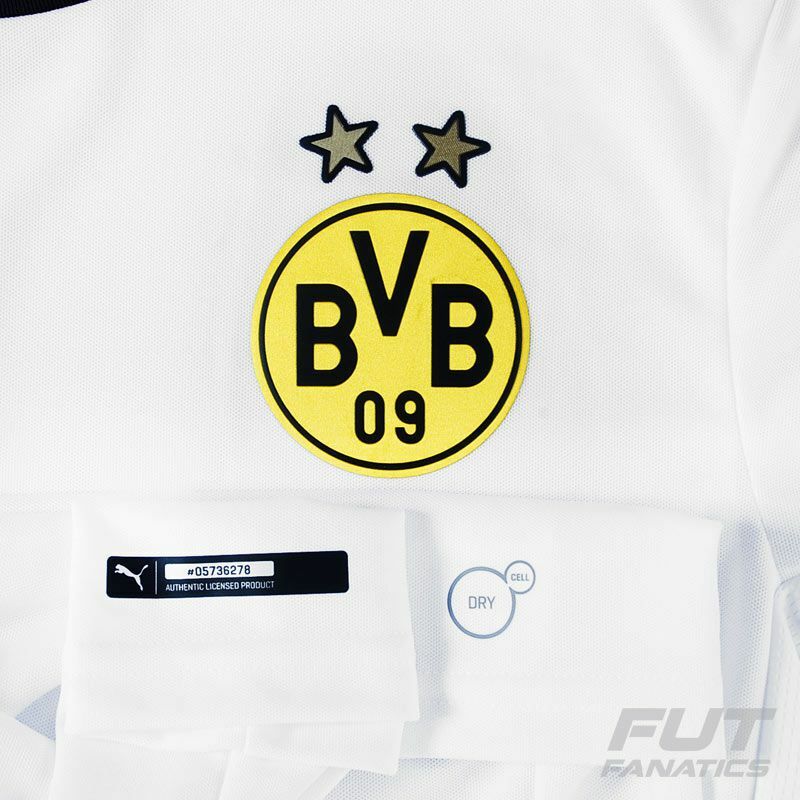 This beautiful Borussia Dortmund 2016 Third Jersey is white with some details in yellow. 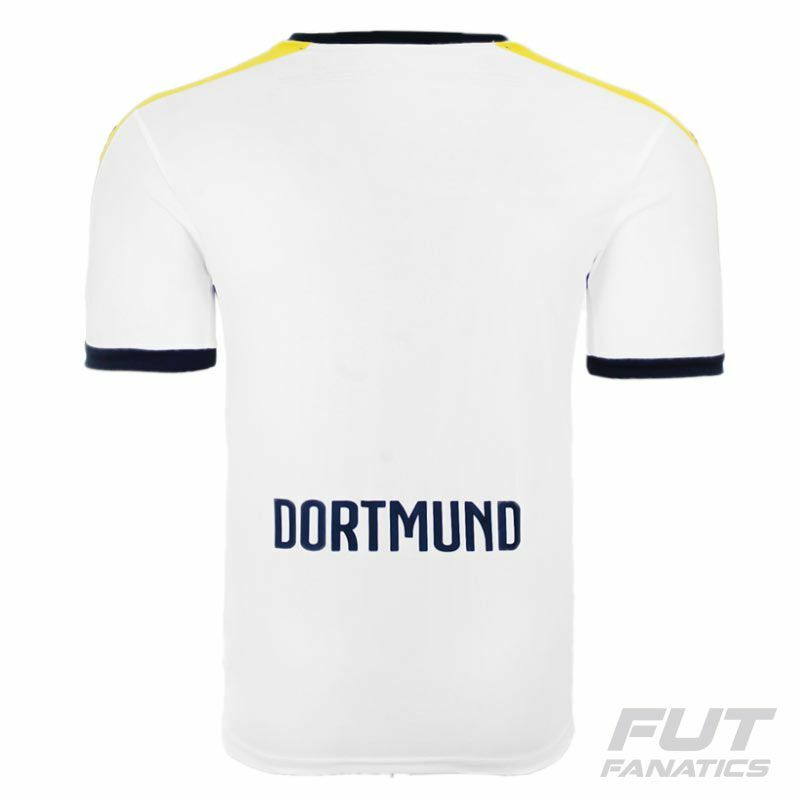 This jersey can be customized with name, number and patchs using the official fonts of the team. Made in polyester using Dry Cell technology, it repels sweat from your skin keeping your body dry for longer and regulates body temperature for an improved performance. It also features the Puma logo, the club badge in vinyl and the sponsor logo in Heat Transfer. Ballspielverein Borussia 09 e.V. Dortmund, commonly known as Borussia Dortmund, BVB, or simply Dortmund, is a German sports club based in Dortmund, North Rhine-Westphalia (Borussia is the Latin equivalent of Prussia). The football team is part of a large membership-based sports club with more than 115,000 members, making BVB the third largest sports club by membership in Germany. Dortmund plays in the Bundesliga, the top tier of the German football league system. Dortmund is one of the most successful clubs in German football history.